While the Sensex closed 209 points higher at 35,692 level, the Nifty ended at 10,842, a gain of 56 points. Both the indices closed at over their four month highs after starting the day in positive territory. 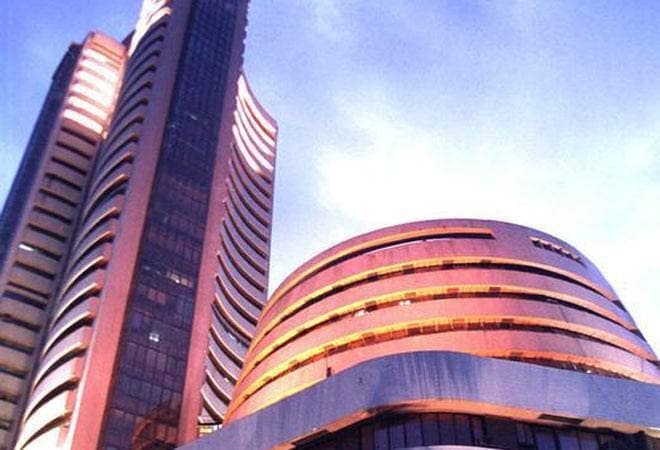 The Sensex and Nifty closed higher on rise in pharma and banking stocks amid higher Asian markets buoyed by the summit between President Donald Trump and North Korean leader Kim Jong Un in Singapore. While the Sensex closed 209 points higher at 35,692 level, the Nifty ended at 10,842, a gain of 56 points. Both the indices closed at over their four month highs after starting the day in positive territory. Markets are also awaiting the release of key macroeconomic data of IIP and retail Inflation (CPI) due later today. Dr Reddy's (5.23%) , SBI (3.36%) and IndusInd Bank (2.41%) were the top Sensex gainers. Pharma stocks led the charge on the BSE with the healthcare index closing 1.94% or 262 points to 13,755 level. Capital goods and banking stocks led to the rally. While the BSE Capital goods index rose 220 points to 18,756, the bankex was up 204 points to 29,813 level. VK Sharma, Head Private Client Group & Capital Market Strategy at HDFC Securities said, "The last trade of the Nifty was at 10,853, though the average came down to 10,843. This is a confident close above the downward sloping trend line drawn from 10,171 level registered in January earlier this year. The Trump-Kim summit ended on a positive note with a commitment to completely denuclearize the Korean Peninsula. The contours of the deal are sketchy and Trump will have to fill a lot of gaps in the information when he reaches home ahead of his Birthday. The markets are doing well these days as they have the support of a brand new bullish sector, the Pharma sector, which has come about after a long hiatus. Lupin and Dr Reddy were the top gainers with a rise of 6% and 5% respectively. SBI came in third with a rise of 3.75%. Bharti, Hindalco and Tata Steel were the top losers with a gash of 2.2%, 1.50% and 1.49% respectively. Metals was the only sector that closed in the red with a loss of 0.40%. Pharma Sector gained 2,60%, PSU Bank Index edged up 2.30% while the FMCG inched up just 0.90%." Market breadth was positive with 1,438 stocks closing higher compared with 1,227 stocks ending in the red. 141 stocks were unchanged. Meanwhile, foreign portfolio investors (FPIs) sold shares worth Rs 1,156.77 crore on net basis, while domestic institutional investors (DIIs) bought equities to the tune of Rs 1,062.82 crore on Monday, provisional data showed. On Monday, the index finished at 35,483.47, up 39.80 points, or 0.11 per cent. The 50-share NSE Nifty, which reclaimed the 10,800-mark intra-day, settled at 10,786.95, showing a gain of 19.30 points, or 0.18 per cent. Asian shares were mostly higher Tuesday but Europe opened mixed as market players tried to digest the summit between President Donald Trump and North Korean leader Kim Jong Un in Singapore. France's CAC 40 was little changed but inched down to 5,472.42 in early trading, while Germany's DAX was up 0.1 percent to 12,861.27. Britain's FTSE 100 lost 0.2 percent 7,720.96. US shares were set to drift higher with Dow futures gaining 0.1 percent to 25,366. S&P 500 futures rose nearly 0.1 percent to 2,789. Japan's benchmark Nikkei 225 was up 0.3 percent to finish at 22,878.35. Australia's S&P/ASX 200 was up 0.2 percent at 6,054.40. South Korea's Kospi fell less than 0.1 percent to 2,468.83 after fluctuating earlier in the day. Hong Kong's Hang Seng's rose 0.1 percent to 31,103.06, while the Shanghai Composite index added 0.9 percent to 3,079.80.